Seventh grader Julia G. has been donating to Celma Mastry's Ovarian Cancer Foundation for the past 4 years. Each year on her birthday, she asks her friends to donate to the cause rather than bringing a gift to her party. She has had bake sales and garage sales to raise money for the cause as well. 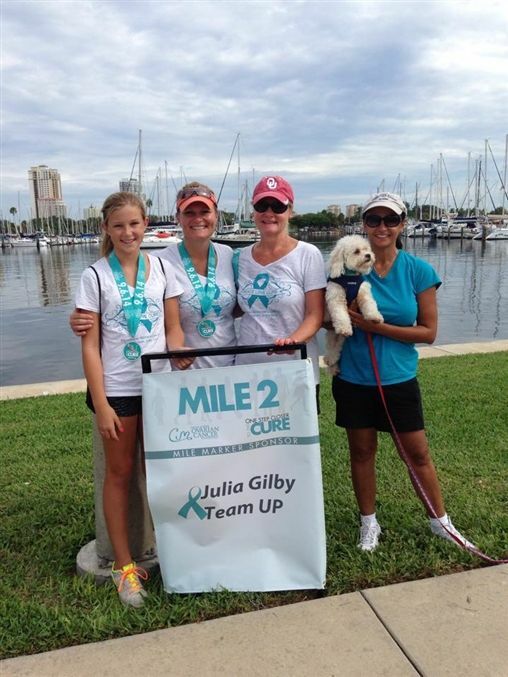 Julia became highly aware of Ovarian Cancer when she met 2 women and had a great aunt affected by the disease. She was named Celma's First Superhero, and has been recognized by the Foundation for her service in many ways. Great job, Julia!